New, refreshed Local Chat – now with calendar! Local Chat add-on has an exciting update that will open more options for your Personal Bot. Until now, we were only able to view and send messages through to bot’s local chat. 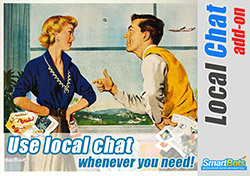 You have asked for more and we listened, Local Chat add-on was updated with more advanced tools and here they are! Firstly, we’ve remastered main page of the add-on – allowing you to navigate through the pages much more easier, with some good vibe of user-friendliness! 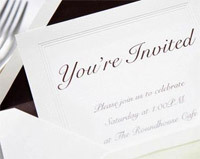 As I’ve mentioned in the previous blog post, we were working on inventory to be delivered with the group invitation. The usage is completely free. Also, another option has been added to turn your inviter into the greeter: bot can send the IMs while inviting visitors to your group (existing group members won’t be invited). Need a greeter? We’ve got one! SmartBots direct group invitations are now integrated with SHX Welcome board! This means that you can use the powerful visitor greeter and counter, and send them the direct group invitations (no obscure chat links anymore!). You can setup SHX Greeter to work with your SmartBots account. To get SHX Greeter, login to your SmartBots account and click on the “Advanced Greeters” menu item. We also have cool human-like reception girls to install in your office – login to take a look!